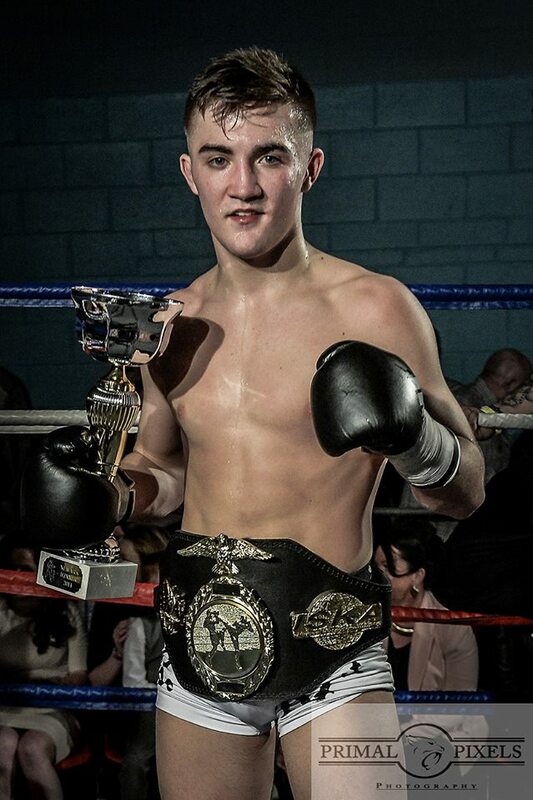 Suggy’s Gym added another professional title to its name on Saturday 29 March, when 18 year-old Regis ‘The First’ Sugden defeated Storm Gym’s Benjamin Baah to become the new ISKA Pro K-1 Commonwealth Champion. The Suggy’s Gym fighter was tactically superb as he dominated his older, more experienced opponent over three action-packed rounds. At the end of the first, Regis landed his trademark spinning kick which wobbled Baah. The pattern of the fight continued with Regis winning on points against a very tough opponent. The title fight was the main event on the Rookies Rumble III card at the Magnus Sports Centre. “It was great to fight in my home town, in front of all the local fans and friends who turned out in force to support me and the other fighters from Suggy’s Gym and NMA,” said Regis, whose professional record now stands at eight straight wins.